Heads Up, Locavores at The Frasier: 4P Foods Makes It Easy to Eat Local, Seasonal, and Sustainable! 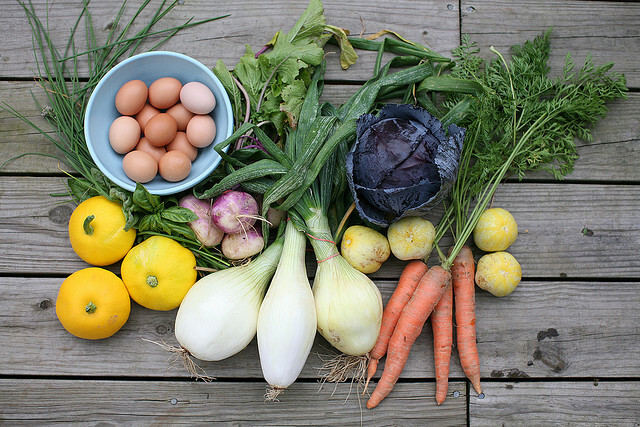 "Good healthy food should be readily available and accessible to all." That's the statement that greets visitors to the website of 4P Foods, a locally based benefit corporation that aims to close the gap between DC residents and fresh fruit, vegetables, meat, and eggs, all of which is sourced from farms within the Washington, DC, foodshed. So how does 4P Foods do it? By offering weekly "straight from the farm" food deliveries to offices and apartment buildings (including The Frasier!) all throughout the area. Here's how it works: Subscriptions (aka "bags") are available in two options: produce (seasonal fruit and veggies) and protein (humanely raised steak plus optional eggs). Choose your bag size, enter your payment info and four-digit site ID for The Frasier (1495), and you're on your way to receiving sustainable, nutritious food once a week. Not only will you be doing your part to strengthen the local economy (and reduce your carbon footprint), you''ll also help local families in need. That's because for every 10 shares sold, 4P Foods donates one share to Martha's Table! For more information, visit the 4P Foods website.